The Publishing (formally-known as Legacy) Team here at 343 has been cranking away on all manner of bug fixes, improvements, and enhancements to the Master Chief Collection since our last blog update. If you missed the January edition, I highly encourage you to check it out first for some important background and context around the project itself, baseline expectations, and more about our goals as a studio. Today we’re going to touch on general project status, networking tests, flighting, and then shift focus to address some of the most common MCC update questions we’ve received from across the community. As always, we welcome your questions, feedback, and discussion in the MCC forum here on Halo Waypoint! 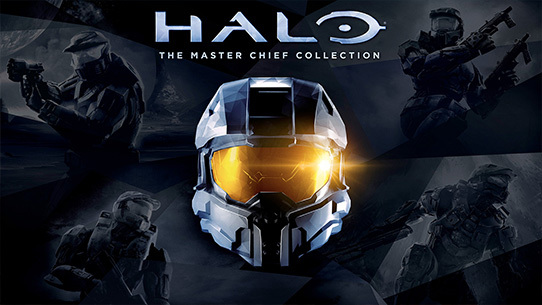 The Master Chief Collection update project (perhaps we need a cooler official code name?) is moving right along with bugs being resolved regularly and parallel work progressing on things like visual enhancements, UI refresh concepts, flighting planning, and numerous networking improvements to name but a few. 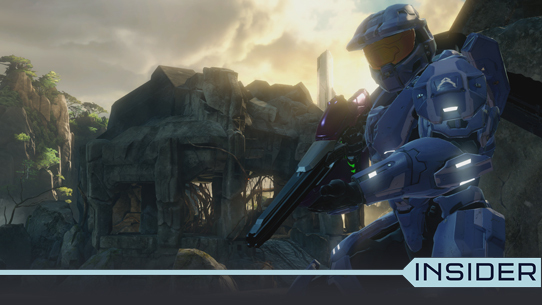 Milestone 4 continues a series of optimizations across the MCC experience. One of the small but interesting things we've enabled is an update to the overall game package structure, allowing for incremental download of specific game content (internally we’ve referred to this as “Intelligent Delivery”). This means that rather than having to download the entire MCC game package under various scenarios, players can download an initial install, and then select other games, languages, and content areas they want to download from there. With regards to language specifically, this will allow players to select languages in MCC independent of their console language, location settings, or the SKU they originally purchased. It's a less obvious improvement but we're hopeful it makes life better for people that are sensitive to bandwidth constraints, download speeds, or would just prefer to prioritize their MCC download. Our work on Xbox One X enhancements continues, and the team has been growing as we focus ourselves around qualitative results. There tends to be excitement around things we can do that celebrate these amazing games and deliver great benefit for our community, so it's fun to watch the team pursue these enhancements and the enthusiasm they're bringing to it. Plus, if you love game art, it's just plain heaven to participate in the science and artistry of the how this gets approached. I’m as eager as you are to see what some of these enhancements entail and I hope to share comps and more details as soon as the team is ready to pull back the curtain. As we discussed in our last update, a lot of work has already been done to improve the network and platform foundation that MCC was built on years ago. In order to validate these changes, daily testing is well underway along with regular play tests in one of our studio's labs. Recently I was invited to participate in a small local playtest with members of the team here in our studio along with some offsite testers. We all spent our time in the “Duos” playlist with the goal of churning through as many games as possible to help stress and test the updated matchmaking APIs and improvements. One cool thing I immediately noticed in this playtest is the early work on “continuous matchmaking” that’s been implemented. This means that once a match ends, I’m taken to the Post Game Carnage Report (PGCR) and then I’m automatically put into my next game session rather than being dropped back to the matchmaking lobby. It’s a subtle change but personally I found it very welcome in a world where all I wanted to do was keep playing and having fun. Naturally, the team is continuing to tinker, test, and assess all the subtle tweaks and changes a continuous matchmaking model will require in MCC. I also noticed that the “Vote” function was removed from the build, which is in line with the team’s plans to adjust how playlists work and address one of the frustrations many players report today when the population generally only votes for Halo 3. Last time we talked a bit about our goals for public flighting and how we plan to roll out early builds and partner with our community to help test various facets of the game. “Flighting” is the process of releasing a separate, standalone game build for the purpose of testing with a targeted external audience. Think of this as a type of rolling alpha/beta that allows us to iterate and make changes for our community to help test without affecting the current retail version of MCC. The Xbox Insider program offers numerous examples of this today and they “flight” various platform updates to the Insider ring before they roll out to the broader public. For example, Rare’s upcoming title, Sea of Thieves, used flighting extensively to test their game during development and relied heavily on their community. A lot of the specific areas that our test team needs to focus on and validate during flighting require special telemetry and data that MCC doesn’t currently provide. 343’s business intelligence team is working closely with the MCC team to assess what’s needed and get these reporting tools added to the game. Several parts of the project are taking “one step backwards” before they can take “two steps forwards.” We are being conscious of making sure we can release flighting builds that are at an appropriate bar for test purposes but also provide an acceptable player experience to ensure we can drive engagement with a large enough player base to achieve the goals for each flight. However, rest assured, there will be bugs in during flighting, some of which will be known and communicated while others will be discovered via this process. But hey, that's the point of flighting! All of this boils down to what will likely result in some shifts to the initial schedule for our flighting kickoff. Even though we’ve yet to officially share a date, suffice it to say things will probably push slightly. The moral here is that the team is going to take the time needed to do this right. The project overall is quality driven, not schedule driven. Overall, we still plan to start small and grow the flighting scope over time. The earliest flights will actually only involve internal team members and then a broader test team and then possibly a group of Microsoft folks and so on. Each flight release will have specific things it seeks to test and validate, and we’ll likely look at a specially curated audience to align with those specific goals. We know there are many people eager and excited to jump in and help us out – which is awesome! However, we also know that we will not be able to get everyone in the door on day one. Please know that we ultimately will make sure anyone and everyone who wants to participate is given the opportunity to join the MCC flighting program. Please join the Halo Community Feedback Program if you haven’t already – not only will we use this as a means of gathering periodic feedback during MCC’s public testing, we’ll also likely use some of our HCFP community as part of our early flighting participant pool. Plus, the HCFP offers regular chances to share input on numerous facets of present and future Halo games and the overall franchise! Go ahead and join the Xbox Insider Program now so you’re ready to go when things get rolling. This is what we’ll be using to deliver flighting builds to community participants. We’ll have more info on MCC flighting as soon as plans are firmed up. Stay tuned! The team still has a lot of work to do towards their top priority – updating and improving MCC – but that doesn’t mean they aren’t also thinking about the future. We recently reached out and asked you, the community, what would be atop your wishlist if you could add a new feature to MCC. Some folks out there were quick to chide us for already “succumbing to overambitious, unrealistic goals” and “biting off more than we can chew” to which I say “come on, really?” This is just a conversation to help us make sure we’re thinking about the right items. We have folks on the team whose job it is to look further ahead – beyond this current update work – and imagine an exciting possible future where MCC continues to grow and evolve over time. Does that mean we’re committing to X, Y, and Z new features? Absolutely not. Does it mean the team has ambitious goals for the future? Heck yeah! Ultimately, we don’t know where things will net out, but we do know that without a proposal and plan, none of it will happen. And, before the team starts building out proposals that rely heavily on assumptions, we wanted to better understand what our community really values and really wants when it comes to possible future additions to MCC. Plus, it was interesting to see some things pop up that we hadn’t been previously thinking about about such as a desire to be able to lower the volume of the main menu music or just how many people want to see a UI refresh. Again, we are not currently committing to these feature requests aside from a few things we happen to already be working on (more info down in the Q&A section). And frankly, there are already some things being asked for that we're pretty sure will be outside the realm of reality. Still, we're building a community feature request list for future evaluation and assessment. Thank you to everyone who shared ideas and feedback with us in the MCC forum. You can still chime in and join the discussion in this thread. And, if you’ve got personal thoughts on MCC’s playlists specifically, we’ve got a wishlist thread for that, too! Our questions thread on Halo Waypoint has steadily grown since its inception. While we can’t answer every single question – at least not in the near term – I did go through and pull some frequently asked questions which I’ve worked to find an answer for or, in some cases, get a response directly from folks on the team. Some of the questions themselves are paraphrased or re-worded by me, but represent the core of what the community has been asking. And don’t worry if your question didn’t get answered this time – we’ll keep this going in future blog updates. Will Halo 3: ODST Firefight and/or Halo: Reach be added to MCC? We’ve heard loud and clear that this is at the top of requests when it comes to new future features for MCC. This is outside the scope of this current update but is something the team will continue to assess and evaluate for future feasibility. Will you add a custom game browser to MCC? This is one of the community’s most requested new features, which makes us extra happy to confirm - Yes, a Custom Game Browser is on the docket for MCC. As far as how this will function, that’s still being worked out but it likely will be more robust than the Custom Game browser that was added to Halo 5 last year. However, this may or may not land at the same time as the first ‘proper’ update for the retail title, but we have every intent of adding this to MCC. We’ll share more specifics down the road as more progress is made. Can the emblem system get fixed? What are your plans for MCC’s playlists and in particular, addressing the current issue with the way ‘voting’ works and how difficult it is to play something that isn’t Halo 3? Max Szlagor, Design Director: "We are looking to improve the experience of playing MCC across the board, making it faster and easier to get into the games people want to play. When we launched, we wanted to offer both new and old ways to matchmake into the best maps across titles and to allow players to vote for their favorites similar to the way Halo matchmaking worked back in the day. We have heard feedback from the community about matchmaking times, voting, and the selection of games in playlists. In the future, we will limit playlists to a single game and remove the voting stage. With a clearer expectation of what is being played, this should also reduce the number of players quitting out just before a match starts. Of course, we’re thinking about all of this carefully, and while we expect a renewed and larger player population, we’ll want to be sure players aren’t encountering longer wait times. We will be working with the community and reviewing data to find the best combinations of maps and modes in playlists. Further down the road, we are also looking into ways to more easily find and join public custom games. 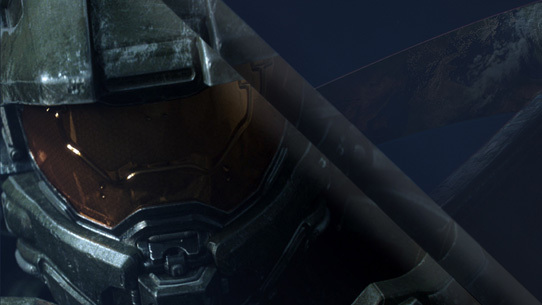 We look forward to hearing your feedback and offering the best matchmaking experience for all Halo: MCC players." Is the team planning any updates or changes to MCC’s UI and menus? We are looking at ways to streamline navigation and reduce the number of steps to get into any game experience. We are also looking into quality of life improvements and new options based on feedback provided from the community. In addition, we are looking at ways to improve the social experience so players can more easily find the experience they want and people to play with. Finally, we are looking for ways to offer more ways to play Halo: MCC and to better recognize player accomplishments. Are there plans to introduce join-in-progress for Custom Games? Greg Hermann, Technical Director: Yes! Will the update automatically unlock achievements where the proGRess was reset? Will there be any new achievements added? The nature of the system is such that there’s no feasible way to retroactively unlock achievements that didn’t register originally. Over the years, there have been numerous changes to how achievements work on the platform side so the types of issues some players have reported for MCC specifically are much more rare nowadays. We are investigating possible manual workarounds that might, for example, enable our Community Team to manually resolve individual player achievement issues via our own services, but that discussion is still in progress. According to Max, "We are looking to make MCC stats and save files more durable, along with making campaign playlist saves more flexible, which should help players tackle more achievements going forward." Are you planning to add LAN support? Will there be future updates to MCC after this massive one? Yes, that is the current plan. In fact, not everything we’ve been discussing thus far will all be landing at the same time. While we are building towards a substantial initial game update, our production plans do entail ongoing updates with additional features continuing to roll out over time. Is this really the end of this update blog? Yes, it is! Thank you for reading and even more importantly, thanks for your feedback and support thus far. Please stay tuned to Halo Waypoint and we’ll share more insights and details as the MCC update project continues to progress. Before we go, we’d like to extend a hearty WELCOME to the newest member of the Publishing Team at 343 – Head of Halo Publishing, Pierre Hintze! Pierre brings a wealth of experience, expertise, and passion to the MCC project and we’re thrilled to have him leading the charge. We’ll shine the Team Spotlight on him in an upcoming Community Update blog and hear more from Pierre in the weeks ahead, so stay tuned. Speaking of Team Spotlight, we most recently introduced Sean Cooper, who joins us from the Halo Custom Edition community and brings some exciting knowledge, experience, and ideas to the MCC project. Read more about Sean HERE. Until next time, thank you on behalf of the MCC team and please keep the feedback coming!